Pinn Barton Farm is set in one of the most favoured holiday spots in the south West, due to its location and access to a variety of places to visit and be entrained. Whether you are a family or couple, you will be able to find places of interest and fun. We have listed below a short list of some off the places to give you a taste of what is available. You will also find a comprehensive stand of broachers available at reception. 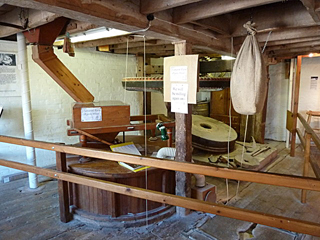 Set beside the River Otter in one of East Devon's loveliest coastal valleys, Otterton Mill is the place in Devon to experience the ancient traditions of flour milling, bread baking and much more. 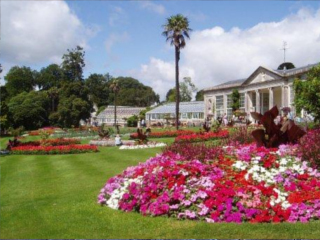 Devon’s most magnificent historic gardens - a great day out for all. Spanning nearly 300 years of horticultural history, these magnificent gardens are set in East Devon's picturesque Otter Valley, between the ancient city of Exeter and southwest England's Jurassic Coast World Heritage Site. The superbly landscaped park combines 18th century tranquility with modern amenities to provide all year round enjoyment for everyone of all ages including historic glasshouses, a countryside museum, the Bicton Woodland Railway train ride, nature trail, maze, mini golf, indoor and outdoor children’s play complexes, ice-free skating, restaurant and shop. 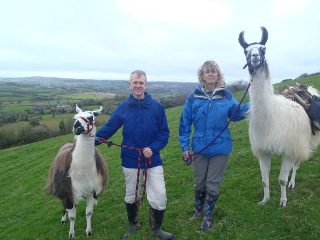 For a truly enjoyable and unforgettable experience come walking with llamas (sometimes known as "llama trekking") on East Devon’s spectacular Jurassic Coast - England’s first natural World Heritage Site and an Area Of Outstanding Natural Beauty. Enter the magical kingdom of Devon's Crealy and discover four NEW attractions for 2011. Plummet down the NEW Vortex water coaster, meet 'real' Unicorns, explore Wilderness with tree houses and the cutest deer to feed, plus Crealy's favourite roller coaster returns as Maximus! 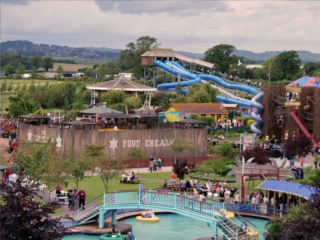 It's magical family fun guaranteed at Devon's Crealy Great Adventure Park. 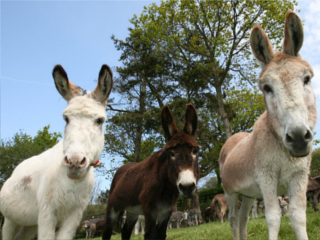 Just outside the town of Sidmouth, The Donkey Sanctuary is home to around 500 donkeys. Set in unspoilt farmland and countryside, visitors return time and again to meander among the donkeys and absorb the serene and relaxed surroundings. The Donkey Sanctuary´s aim is to prevent the suffering of donkeys worldwide, through the provision of high quality, professional advice, training and support on donkey welfare. No donkey is ever refused admission to the Sanctuary - provided it has a certificate of fitness to travel, and each donkey is guaranteed a life of loving care and attention.